Are you currently overwhelmed with managing your company’s thousands of assets? Do you still use Microsoft Excel to record and manage every asset you have? If your answer is “yes”, then this is the right time to use the asset management software. In 2019, there are still quite a number of companies in the world that still use manual methods such as Microsoft Excel to record and monitor assets owned by the company. In fact, manual methods like this are time-consuming and prone to errors. According to a survey conducted by Bloomberg BNA, there were 46.8% of respondents consisting of high-ranking companies in the United States which spent 4 to 5 days each month to manually record assets on spreadsheets. Sadly, their precious time can be used for other important things, such as doing analysis and formulating strategies. Before we delve deeper, let’s discuss what is asset management first. Then, we will discuss the benefits of Using asset management software and why you should use it in your company right now. The asset management software allows you to automatically monitor, track and categorize your company’s physical assets such as products, machines, vehicles, or other objects which the company owned. The software whose databases are stored on cloud servers, make companies do not need to worry about server rental and maintenance costs. Before deciding to use asset management software, you need to consider which assets you need to manage. It is recommended to consider the company assets which spends money for it to operate. For example, employees who work off-site and use company cellphones, or software licenses if your company uses a large number of computers. The correct selection assets will greatly help you in running the company more efficiently in a long period of time. Switching from a manual method to asset management automation provides a lot of benefits for your company. 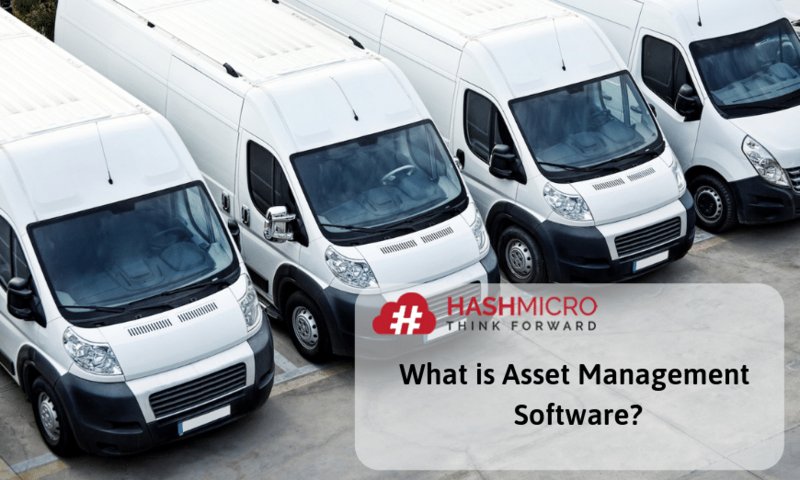 In general, there are ten benefits by using asset management software such as Asset & Fleet Management from HashMicro. Every year your company always incurs costs to replace or add more assets. Unfortunately, you will often spend more money than you need. This often happens because your company does not record the details which assets are still there, lost, stolen or damaged. The use of manual methods for recording company assets is more often than not, ends up inaccurate because it does not include what the assets condition in real-time. The purchase of assets that you don’t need happens because your assets are not monitored, neglected, or even forgotten when the last time you see it. 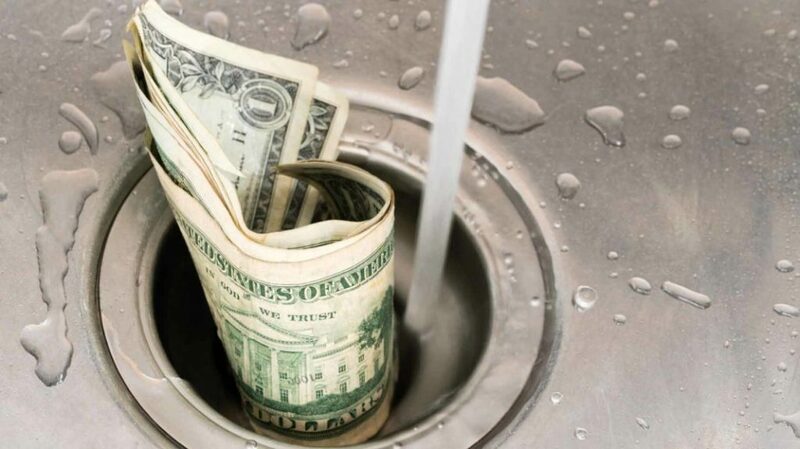 To avoid this, asset management software is what you need. With this software, you can properly monitor each of your assets, so that there are no more abandoned or forgotten assets. With the asset management software, you can find out how is the company’s assets condition in real time. Asset & Fleet Management software from HashMicro makes it easy for you to find information about the service history of your company’s engine/vehicle, find out the status of the vehicle’s engine, track the location of the vehicle, and arrange the next maintenance schedule. With the help of asset management software, you can set when you should buy new assets, or refuse requests for assets procurement because the old ones can still be used and need not be replaced. If you just started your company, managing your company’s assets using Excel might not be a problem. However, as time goes on, the company’s assets will continue to grow and certainly will confuse you when you are required to manage assets of thousands and various types. If you are in this situation, it’s time to consider using asset management software to help manage your company’s assets. With the help of this software, you no longer need to waste your valuable time to record your assets every single time, avoiding input errors, or other errors that commonly occur when using spreadsheets. Point number 3 above has stated that input data to spreadsheets is very vulnerable to human error. In addition, there are other limitations of spreadsheets, namely the lack of details that can be included, especially if the data inputted into the spreadsheet only comes from purchasing data. Information obtained from purchase orders (PO) generally only has information on PO numbers, PO dates, purchase prices, and info about vendors. While information about the asset ID number, who (user) the user is, and the location of the asset will not be recorded because the information is not found in purchasing orders. With the asset management software, all the information you need from your assets will be recorded in detail. This includes the asset user, where the asset is located, to the condition of the asset, so you can control it more easily. Among others, the human error aspect has a significant impact on asset management. The process of inputting thousands of assets into a spreadsheet is a tiring and very tedious thing. At this stage, employees will tend to make mistakes due to doing the same thing over and over again. The asset management software avoids you from human error as in the example above. Inputting assets will be easier, you also do not need to spend a lot of time and energy, so you can spend your time on more important things, such as compiling a marketing strategy and developing your company. An audit is something you have to do from time to time, at least once a year. If you still using the manual method for recording company assets, you can imagine the difficulty of the audit process that you have to do. There are several obstacles that commonly occur during the audit process if you still record assets manually. Some of them are the incompatibility between the assets recorded in the document and the number of actual assets in the field, and vice versa, there are assets in the field but the data is not found in your document. Ideally, your audit and inventory process has good and ideal methods and work steps, so the audit results can be accounted for. Asset management software, inventory work steps, and physical checks have become part of the software itself. You just run it on the software. Try to imagine how much money you have to spend to pay taxes or insurance for company vehicles, while those vehicles are not even there. That’s one, what if there are 10 vehicles with similar cases? This case will certainly harm your company’s finances because these unregistered assets are still paid for insurance and taxes while the actual vehicle is actually missing or broken. Therefore, assets like this should be excluded from the list of tax-paid assets or insurance. To overcome this, you must do inventory checking regularly. With asset management software, the inventory checking process can be run anytime easily and quickly. Financial statements are a way to measure your company’s growth. From the financial statements you can know whether your company’s economy is growing well or is actually suffering losses. Not only that, reliable financial reports are needed by prospective investors, banks, and your company’s partners. The financial statements that often observed by three parties above are the amount and value of assets listed on the balance sheet. It is certain that investor and partner trust will increase if these financial statements have gone through an audit from an independent party or a third party. As exemplified in the previous point, with asset management software, the audit process will become easier and faster, so that financial reports become more credible and reliable. Among other types of assets, tools are assets that considered fast-moving one. The movement in question can be in the form of moving places or changing hands from one user to another user. Keeping track of such fast-moving assets into a worksheet to make it always updated is definitely a hassle because it requires a high level of discipline from each of your employees. If then one of your employees fails to update the transfer of assets, then tracking these assets is proven difficult. With software that works automatically, updating information for fast-moving assets will become easier. In addition to tracking where the asset is located, info on who was the last to use it, and find out when the asset last got treatment can be done quickly. Using manual methods, audits are usually carried out by re-inventorying company assets owned and recognized one by one. Audit officers usually match asset purchase documents with physical assets in the field. This is very time-consuming and energy-intensive. With applications such as the Asset & Fleet Management System, this inventory process can be carried out more lightly and quickly. Not only that, the results of the inventory process will be collected in the form of easy-to-read data. The asset management process is troublesome if it is still done manually using spreadsheets or Microsoft Excel. The need to update data continuously, requires high discipline and accuracy of each employee, not to mention this method tends to be vulnerable to human error making this method considered impractical. But it is different if you use an asset management software or application. This system will make it easy for you to manage each of your assets easily and quickly. For more information about your Asset & Fleet Management System, you can click the following link, or contact our support staff.